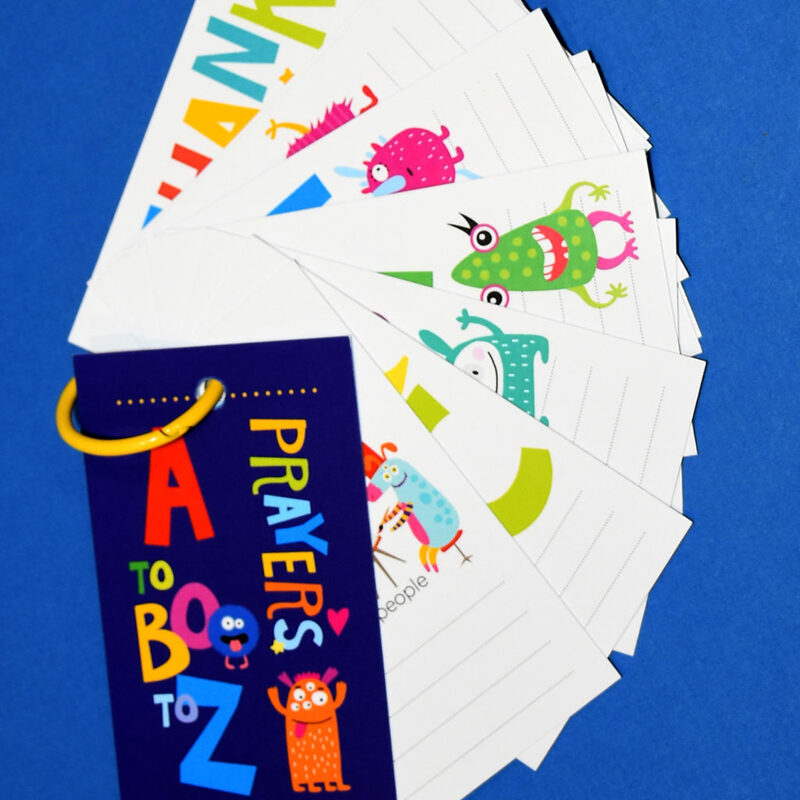 This set of alphabet cards suggests prayers for each letter of the alphabet and has space for your own. It’s important to teach our kids or grandkids to enjoy prayer, and these colorful, silly monsters will make it fun. 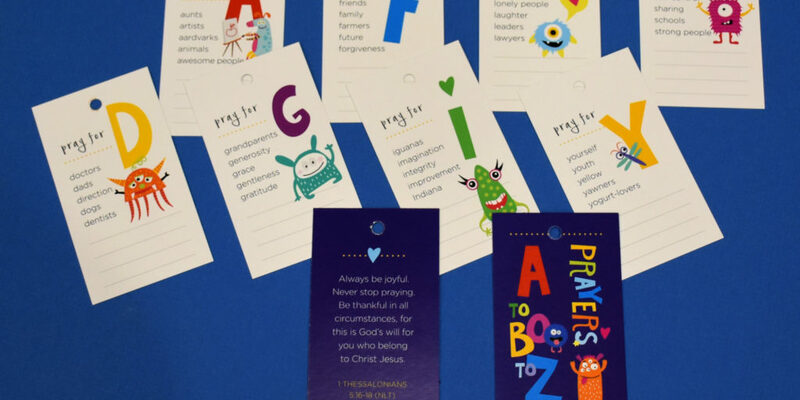 Whether your prayers are serious or silly, these cards remind us that there are people all around us to pray for. 17 double-sided cards on a ring.